The Leadership Development Program Committee is planning the next event for May 12 at NSU Ft. Lauderdale. With the help of our new Co-Chair, Nadya Ramos, COTA/L, our committee has opened nominations for the next leadership development event. 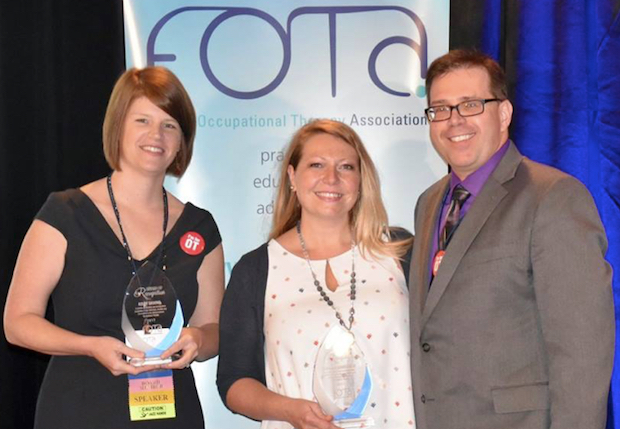 Our nominations are open to OT and OTA practitioners, as well as students, and we encourage new graduates and seasoned professional alike to self-nominate or be nominated. Our Keynote Speaker on Leadership will be Sandee Dunbar, DPA, OTR/L, FAOTA. Nominations for the program are now open and more information is available in this newsletter and at http://www.flota.org/leadership-program . Selected nominees will be provided a 6 hour CE credit course and seminar on leadership and mentorship for a fee of under $50.00. New Ad Hoc Committee on School System Mental Health, Safety and Disaster Response: Our SIS Chair Anjali Parti, will be joined by Mirtha Whaley, Kurt Hubbard, Sarah Fabrizi, and Kim McKinney (SIS Chairs) in the inception of an Ad Hoc Committee to address this important issue and create resources and programming unique to the needs of Florida OTs on this matter. This is in the early development stage and is a much-needed new project. Our first meeting to develop this project took place in March and more details are emerging with the ongoing work done by the committee. 5. Membership Committee: Our Membership Chair, Rachel Romero, now has a few members helping her in her duties on the Membership committee. 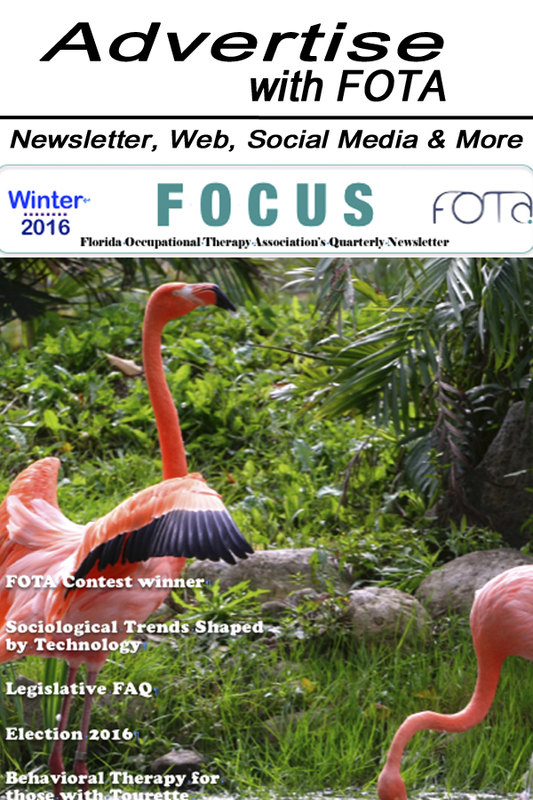 Our primary (short-term) plan is to get back to basic regular contact with members (to renew) and reach out to prospects in our e-mail database, and leverage promotions on social media to get the message out to promote FOTA membership, and build our membership numbers – to be sent out once per month. April will be a membership drive month, and we are encouraging regional reps to engage potential members in local OT month events in the community. An Ad Hoc Committee, led by Dana Dixie and Linda Struckmeyer (Regional Reps), is designing a new hard copy brochure to promote FOTA membership for use at live events – to be approved and printed as soon as possible. The secondary (long-term) plan is to consider adding CEU benefits to members, especially new grad practitioners who transition from student status with online and in-person CEUs offered at cost-effective rates for joining/renewing with FOTA. The Review Process for Bylaws, Policies, and Procedures continues: David Pallister, BPPC Chair continues coordinating the process of individual and collective documents review and revisions of our documents. Several of the documents most need of updating will be shared and voted for approval at the June face-to-face meeting. Save the Date for the June Face-to-Face Board Meeting: Saturday, June 16th at NSU Tampa. We will be hosted by the OTD Program at NOVA in Tampa for a day of meetings. Please mark your calendar. Members-at-large are encouraged to attend our board meeting. If you have issues or items of concern please contact me at [email protected]. As for me -- Presidential Activities: I have continued outreach in support of the various standing and ad hoc committees, including assisting Elena Vizvary, our Volunteer Coordinator, in recruiting some new volunteers for committees and other roles. I continue a weekly practice of posting relevant information on our Facebook Page, and FOTA Lobbying pages, posting in the local forums. I try to do a lot of posts about a variety of issues including resources for OTs to contact their elected representatives to share their individual perspectives on issues. Samarra St. Hillarie did an online interview with me for the FOTA Region 5 FB page, and that was fun -- view here: https://youtu.be/JSZ-P2Q0ktM . Posting to the Presidential Blog: http://www.flota.org/blog are becoming more frequent, and in the upcoming month, a shift from Legislative issues, to membership building will begin on our social media. Occasionally, at FOTA “Contact Us” question will come through that I respond to for FOTA. I have been in contact with Edwin Myer, FL RA Rep for AOTA, and we plan to discuss state/national collaboration at the upcoming ASAP meeting at the AOTA Conference in Salt Lake City, UT, in April. BIG Thanks to Janine Silvaroli Administrative Assistantfor all she does in all capacities with FOTA! And thanks to Kurt Hubbard, our FOCUS Newsletter Editor. With the exception of our part-time Administrative Assistant, FOTA is an organization operating almost entirely by unpaid volunteers. I sincerely thank the whole community of volunteers serving in all capacities to make FOTA more successful. Comments on "President's Blog: March Musings"